The parent company of New London’s Lawrence + Memorial Hospital and Rhode Island’s Westerly Hospital has reached an agreement to join the Yale New Haven Health System, the two corporations announced Wednesday. 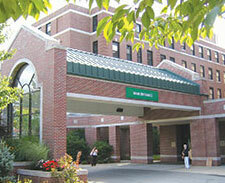 The deal, which is subject to approval by federal, Connecticut and Rhode Island regulatory agencies, would make Lawrence + Memorial and Westerly hospitals part of a network that includes Bridgeport, Greenwich and Yale-New Haven hospitals and is already the largest network of Connecticut hospitals. It comes at a time when many independent hospitals are looking to partner with larger organizations, and as consolidation within health care draws increased scrutiny from some state officials. The announcement is unlikely to surprise many. L+M Healthcare President and CEO Bruce Cummings announced last month the two organizations were in talks about an affiliation, and rumors about an arrangement had been circulating long before that. L+M and Yale already have clinical partnerships in certain specialties, but Cummings said coming changes in the way health care is delivered and paid for had led him to believe that L+M would be better off as part of a larger organization. As part of the agreement, the Yale New Haven system would invest $300 million in Eastern Connecticut and Western Rhode Island, according to a statement from both organizations announcing the deal. That includes investments in several clinical fields and implementing the Epic electronic medical records system – which the Yale system hospitals use – at Lawrence + Memorial and Westerly Hospitals. L+M’s labor contracts would remain in effect, and L+M and Westerly hospitals would continue to have community-based boards, according to the statement. In a list of key provisions of the agreement, the two organizations said they would try to minimize the impact on employees. “But, as other recent announcements have made clear, we are working within a rapidly changing environment,” it said. While hospital officials say joining larger organizations can help them adapt to reduced Medicare and Medicaid reimbursement and new models of care, critics warn that the growth of large health systems that control multiple hospitals and physician practices could raise prices and make it harder for independent physicians to compete. Legislators this year passed a major health care bill that grew out of concerns about consolidation and the changing health care market. The provisions include a new set of regulatory requirements for changes of hospital ownership, although hospitals can avoid them if they apply for state approval of the changes before Dec. 1. The Yale New Haven Health System controls the most hospital beds in the state, and some legislators are worried about its growth. Some legislators, including Senate Minority Leader Len Fasano, have been particularly critical of the Yale New Haven system’s growth, especially its acquisition of physician practices in the New Haven area. Fasano called the agreement between Yale and L+M “an issue of great concern” that could give Yale “almost complete market power across the southern portion of our state into Rhode Island,” and warned that having one system dominate a market could limit patient choice and lead to higher prices. Fasano, R-North Haven, also criticized the Yale New Haven system for simultaneously planning to expand while seeking to close two clinics in Branford and East Haven. The Yale New Haven system said in a filing with state regulators that the East Haven clinic had lower patient volumes than industry standards, and that there were 12 other walk-in clinics within 10 miles of it. 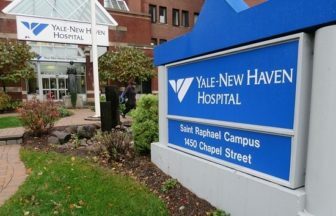 Yale New Haven spokesman Vin Petrini said both the clinic closures and the affiliation reflect the hospital system’s need to find efficiencies. Affiliating with L + M could help drive down the cost of delivering care by creating economies of scale, he said. Four other Connecticut hospitals are also in the process of joining larger networks. St. Francis Hospital and Medical Center in Hartford is seeking regulatory approval to join Trinity Health, a national nonprofit Catholic hospital chain that includes 86 hospitals in 21 states. Waterbury Hospital has plans to be acquired by Prospect Medical Holdings, a for-profit health care chain based in Los Angeles. Prospect also has plans to buy Eastern Connecticut Health Network, the parent company of Manchester Memorial and Rockville General hospitals.